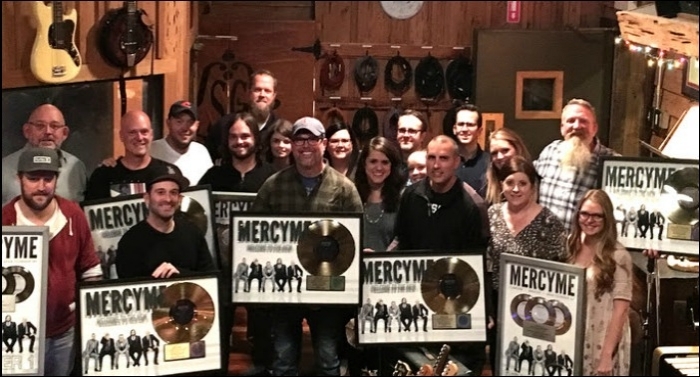 GRAMMY® Nominated MercyMe‘s Welcome To The New (2014) has been honored with RIAA Gold Certification, marking the sixth gold album for the band in addition to a double platinum album and a platinum video. Welcome To The New earned two GRAMMY® nods, multiple GMA Dove Award honors and an American Music Award nomination. In addition, the album boasts three No. 1 singles with “Greater,” “Flawless” and “Dear Younger Me,” and one Top 5 single with “Shake.” MercyMe is planning to unveil a new record in 2017. “In a day when receiving a gold record has become so rare, we are humbled and honored that our fans have supported this album in such a way,” shares the band. MercyMe is currently headlining dates nationwide, with holiday shows starting at the end of November. For the latest on MercyMe, visit www.mercyme.org.